DRIVING ALONG THE AUTOSTRADA in the Piemonte region of north-western Italy is not dissimilar to the approach road towards Tiruvannamalai, Tamil Nadu, for suddenly, there rising up before you is Mount Pirchiriano on the horizon—breathtaking, enigmatic, aloof. But whereas Mount Arunachala in India is itself the main attraction, it is Sacra di San Michele, perched atop a main promontory, that is the captivating view. 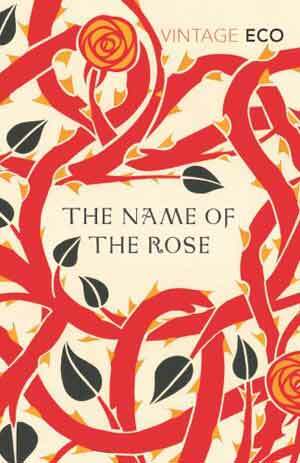 Indeed, such is its spectacular allure that it prompted the Italian novelist, Umberto Eco, to compose his mediaeval murder mystery set in a monastic library, The Name of the Rose. I’ve made a number of road trips over the years in my quest for The Final Truth. Driving from Menton in France along the coast road to Savona in Italy, before heading off north in the direction of Turin, my hair whipping my face in the warm blustery wind blowing in through the car window, I think back to a corresponding journey I made some twenty years earlier in California along Highway 1, running parallel to the Pacific Ocean from San Francisco to Big Sur and what, if anything, has changed since then. The spiritual path is a journey and for many it translates both figuratively and literally. Of course, effortless awareness is ultimately a gateless gate where stillness in movement and movement in stillness are intuitively understood. And yet, physical momentum somehow channels and releases innate restless energy, rendering a sense of progression, though towards what exactly I am sometimes never quite sure. A dream is a scripture and many scriptures are nothing but dreams. Sacra di San Michele was born at the end of the tenth century when Saint Giovanni Vincenzo, a disciple of Saint Romualdo, took up residence as a hermit, choosing the location as a natural environment for the solitary life, surrounded by the stunning landscape of the Val di Susa below and its closeness to the Creator above. Shortly after, Count Ugone di Montboissier, a rich and noble Lord of Auvergne, who had gone to Rome to ask forgiveness from the Pope and was given the choice between either a seven-year exile or building an abbey by way of penance, assigned five Benedictine monks the task of establishing a monastery in veneration of the archangel, Saint Michael. And thus, Sacra di San Michele flourished under Benedictine rule both as a religious centre and a cultural crossroads for pilgrims and aristocrats alike throughout Europe, whereupon it joined an illustrious ley line of sacred locations in honour of Saint Michael: Skellig Michael, Ivereagh Peninsula, County Kerry, Eire; St Michael’s Mount, Marazion, Cornwall, England; Mont Saint-Michel, Normandy, France; Santuario di San Michele Arcangelo, Puglia, Italy; Campanile del Monastero di San Michele Arcangelo a Panormitis, Island of Symi; and Monastero del Monte Carmelo, Haifa, Israel. Sadly, after six hundred years of Benedictine life, the monastery fell into decline—wars, political machinations, even a fire meant the Sacra would be abandoned for over two centuries, accommodating only a chaplain and hermit, until 1836 when King Carlo Alberto requested Pope Gregory XVI to hand it over to the religious congregation founded by Antonio Rosmini. And thus a novitiate of Rosminian fathers settled on Mount Pirchiriano, who continue to dwell there, albeit in reduced capacity, to this very day. The older I grow and the more I abandon myself to God’s will, the less I value intelligence that wants to know and will that wants to do; and as the only element of salvation I recognize faith, which can wait patiently, without asking too many questions. The ascent to the monastery, first by car then on foot, is fairly exhausting to put it mildly but oh, how you are rewarded upon your arrival at the Iron Door, the entrance to the abbey’s holy enclosure as you pause to catch your breath and imbibe the most indescribable scenery presented to you, as if in a supernatural dream. More steps, infamously named the Grand Stairway of the Dead containing skeletons of former monks and leaving you utterly drained of any energy, have to be negotiated, rather like a final rite of passage, testing your courage and reducing you to a humble, breathless heap and depositing you in front of the the Zodiac Doorway, an elegantly sculpted portal into the inner sanctum of the church. Again, I pause to drink deeply of the surrounding view. Somehow, the physical exertion has cast off the fetters of my weary body and my soul feels liberated and weightless, like the swifts darting around the eves and terracotta pots of pink geraniums in the monks’ quarters in the courtyard below. If this is the gateway to everlasting life on earth, I’m more than happy to have made the attempt. As a little drop of water added to a quantity of wine is completely dispersed and takes on the colour and taste of wine, as red-hot iron becomes like molten fire losing its original form, as air when it is inundated with the sun’s light is transformed into total splendor and clarity so that it no longer seems illuminated but, rather, seems to be light itself, so I felt myself die of tender liquefaction, and I had only the strength left to murmur the words of the psalm: ‘Behold my bosom is like new wine, sealed, which bursts new vessels,’ and suddenly I saw a brilliant light and in it a saffron-coloured form, which flamed up in a sweet and shining fire, and that splendid light spread through all the shining fire, and this shining fire through that golden form and that brilliant light and that shining fire through the whole form. Stepping into the Romanesque-Gothic church, I am immediately enveloped by the sound of plainsong and it takes a moment to appreciate that it is the CD recording of monks singing Gregorian chants piped through discreet speakers above me, rather than the collective voices of an actual living choir. All the same, the effect is to transport me unto a mystical paradise as I install myself on a pew and close my eyes as the brothers start to sing a canticle by Hildegard of Bingen. Indeed. How weary I am of words and their complicated agendas, subtexts and scope for misrepresentation. For it is only in the cessation of thought that peace and bliss and harmony can ever be truly appreciated, be it surrounded by religious artefacts in a beautiful Italian monastery or else stuck in traffic, fumbling for euros in a heated queue for the autoroute péage. I know nothing. There is nothing that I know. But the heart senses certain things. Let your heart speak, question faces, do not listen to tongues. Being a Tuesday morning, the Sacra is bereft of tourists and when I open my eyes I am seemingly the only person here. Then in the corner of my eye appears a monk, dressed in brown robes and wearing a large silver cross; he approaches the altar and removes a large glass vase festooning while lilies, returning moments later with their arrangement a little more considered, the water a little more clear. As I arise to leave, I watch him quietly sit down at the back of the church to resume his duties mending silver rosary beads with a large pair of pliers. There is a quiet dignity about his actions as he carries out his simple task. I want to ask him if he has found peace of mind in this holy sanctuary and whether or not living the life of a renunciate is the only way to find God. My utter lack of knowledge of Italian prevents me from conversing with him; more specifically, the example of his being provides me with all the information I need to know. I pause awhile, gathering in one final impression of the otherworldly ambience of this blessed place before slipping out through the Monks’ Door, out onto the Terrace behind the church. How can I describe in words the panorama that unfolds before me as I stand gazing upon the painterly play of cloud and rock and tree. Akin to Mount Olympus, I wonder which mythological gods are hiding in the crags and promontories of this seemingly never-ending, surrealistic scene. Perhaps travel is a fruitless exercise in that you always take your mind with you wherever you may be. And yet, whilst I believe this to a certain extent, a change of scenery can jolt us back into reality by flooding the being with unspeakable beauty, nourishing the heart and purging the soul, leaving little room for the petty and mundane problems of our so-called normal lives. The trick is to retain the isness of this pristine moment by carrying it within ourselves at all times. And thus, within this mindless void in which I now stand, I feel I am in the presence of all those who stood here before me, from the first hermit, Saint Giovanni Vincenzo, the Benedictine monks, the Rosminian fathers, to the lone spiritual seekers like me on a personal quest—all united by the overwhelming desire to free ourselves of the agonies of our fractious egos and feel at ease in the ecstasy of peace. Love is wiser than wisdom. Again, I linger, trying to embed the celestial vision into my cerebral cortex before I return to the church. The monk is still quietly sitting at the back as I enter though he is now leafing through the pages of a Bible with the same steadfast application as before. He too must be in touch with the universal void. My descent from the Sacra into the carpark is one of effortless movement. I feel strangely altered in some way, cleansed by the presence of something vast and all-consuming, leaving me rejuvenated, pure, unborn. Conscious thought has temporarily left me as my heart is filled with the beauteousness of the world. I feel immortal, timeless and vast. I am that I am … and I quietly laugh. The beauty of the universe consists not only of unity in variety but also of variety in unity. And I yield into a deep and delicious sleep.